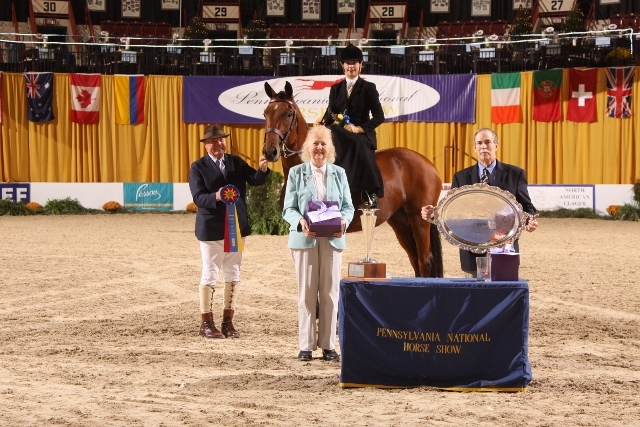 Amy Jo Magee, Coatesville, PA, and Little Lady captured the Championship in the Sidesaddle Division, sponsored by Mr. & Mrs. Richard L. Hornberger, at the Pennsylvania National Horse Show, presented by The Lindsay Maxwell Charitable Fund. 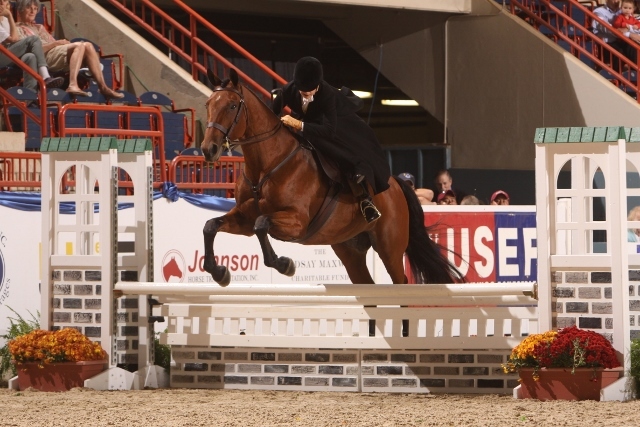 Seeya Layta, owned by Sharon MacDonald and ridden by Jocelyn MacDonald, were the Reserve Champions. "This is the first tricolor I've won here," said Magee. "It's especially meaningful because my grandfather used to be on the jump crew here." 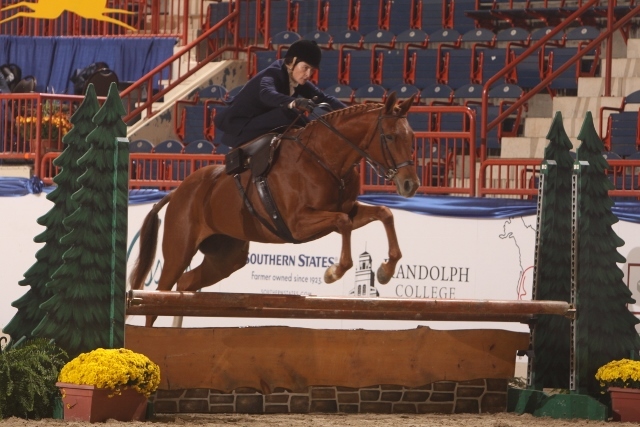 Magee and the 9-year-old Hanoverian mare earned the Championship with a win in the Over Fences class a third in the Hack, but the pair also finished second in the popular Hunt Teams class on Monday Night. Magee, who is a member of the Kimberton Hunt Club, had the distinction of being the only sidesaddle entry on Hunt Night. "She is so great," said Magee. "She carries me in the hunt field and in the show ring. I hunt her sidesaddle and I also show her sidesaddle in all the disciplines that I compete in. I do the jumpers with her and I event her, she does it all!" MacDonald was especially happy with her Reserve, but the tricolor did not come easy. Her trip from her home in Mineral, VA, took longer than expected and they missed the Under Saddle class. "My three and a half hour drive took five hours. I had to quickly enter and then braid, so I missed the class," said MacDonald. "I am so proud of her. This mare got off the trailer, jumped two fences and then went into the ring and got two seconds and the Reserve Championship. Amy and I have known each other forever, so if you are going to come in second, you can't ask for anyone better to beat you."